HAUNTED HORROR #5 + HORROR COMICS Invade Facebook! In stores June 5th! 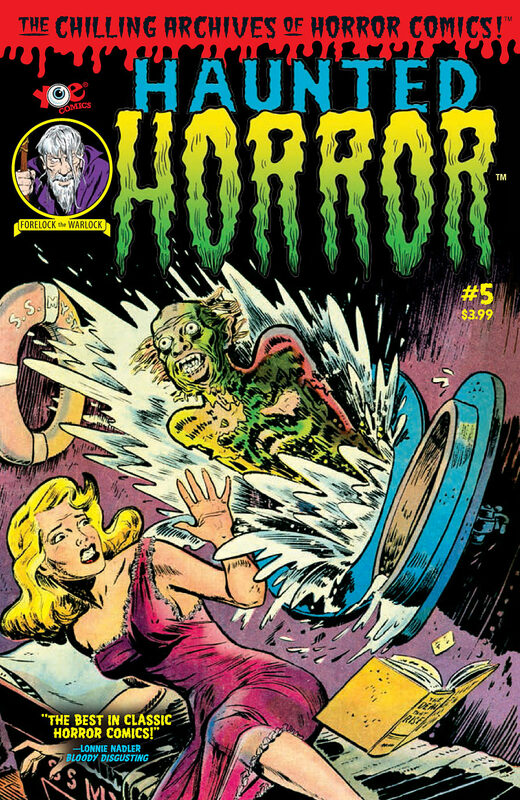 I’ll have a putrid preview from HAUNTED HORROR #5 in our very next post! In the screamtime, get a batty preview over at Bloody Disgusting by clicking HERE! And don’t forget to join the excitingly new and tremendously terrifying HORROR COMICS: 1950’s and BEYOND group on Facebook by clicking HERE!